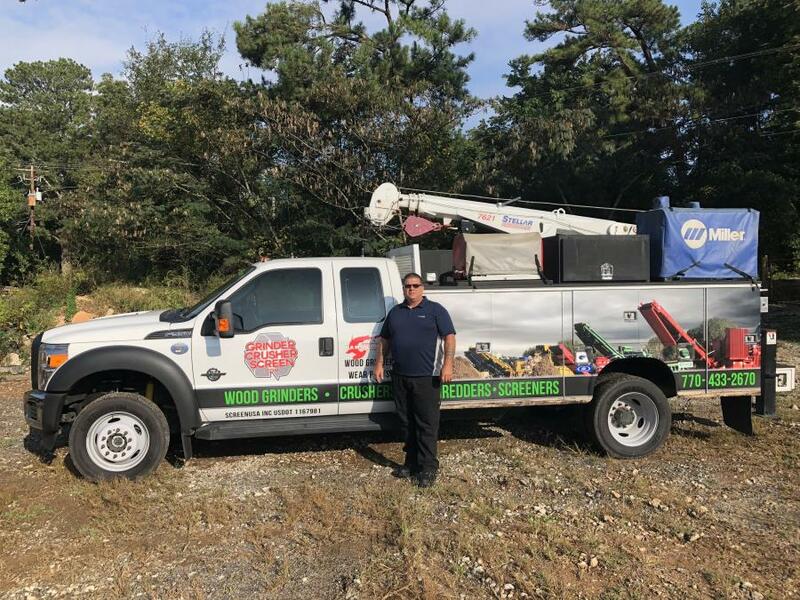 Christopher Caviness stands in front of his well-equipped service truck. GrinderCrusherScreen, a leader in selling new and used recycling equipment, has answered its customers' requests by offering service for the southeast United States. By adding highly experienced mechanic Christopher Caviness to the GrinderCrusherScreen team, the company can now support its customers by offering fast, reliable service for wood grinders, crushers and screening plants. The GrinderCrusherScreen service department is now open for business.